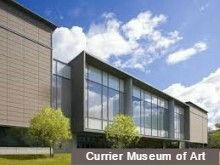 The Currier Museum of Art, founded in 1929 and the most prestigious and largest art museum in New Hampshire, was seeking a Director/CEO. Susan Strickler, the current CEO, whom we placed 22 years ago, was retiring. During Susan’s tenure, the Currier had expanded twice. Its 75,000 square feet now housed additional exhibition space, classrooms and a café. The Currier’s free-standing Art Center, a studio art school with a professional artist staff of 25, teaches 1,800 students of all ages. The Museum’s 13,000 works of art include a formidable collection of European and American paintings, historical, contemporary and decorative arts and old masters. The Currier operates with a budget just under $5 million. The new CEO would be a seasoned visionary leader with a discerning and trained eye for art acquisitions, an excellent manager and fundraiser and would be committed to reaching out to a diverse community with education and exhibition programs. The Currier’s stellar reputation dictated an international search. Numerous exceptional candidates surfaced through advertising, direct outreach and recommendations from professional contacts. An unusually extensive interviewing process allowed us to determine who would best fit with the culture of the Currier. From the group of highly experienced museum professionals we presented to the Search Committee, they selected four to interview by live video. The unanimous choice was Dr. Alan Chong, who stood out as a terrifically dynamic, creative and accomplished museum professional. Alan had been in Singapore since 2010 leading the Asian Civilisations Museum and Peranakan Museum. Prior to taking the position in Singapore, Alan held an endowed curatorial position at the Isabella Steward Gardner Museum in Boston. Alan was ready to return to the U.S. and to lead the Currier to its next stage of success. He began in October, 2016.